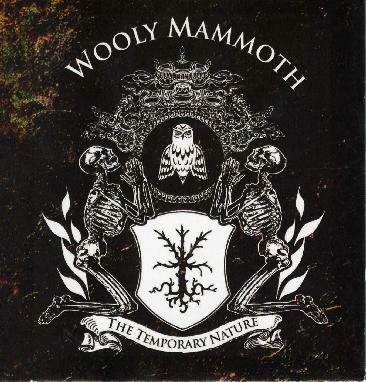 Wolly Mammoth - "The Temporary Nature"
This is the debut CD from this Washington DC area trio. It is quite a mix of stuff. Think if you throw Electric Wizard and the Melvins in a blender with Nirvana and Queens of the Stone Age and mix well. I think you might come out with something like this. Again, this is a CD you need to hear a few times to get caught by the hooks. While some of the tracks are pretty straight up the band like to get a bit spaced out as well and use some effects and delay and trip things out a bit. I should also tell you that Wino (Hidden Hand, St. Vitus) plays guitar on the last 11 minute track called Mammoth Bones. A damn cool CD.